This morning I splashed water on my face, brushed my teeth, and poured coffee into a travel mug. These early morning activities have become so commonplace that I rarely think about the impact that safe, clean water makes on my life. Helena Mugoa, on the other hand, can’t help but think about water. She lives in an African community where FH works, has six kids to protect and no clean water. 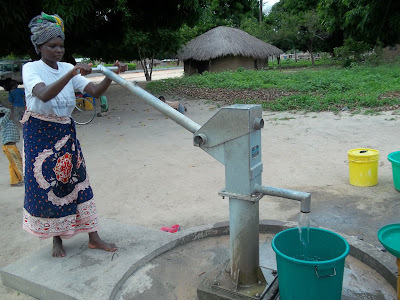 Helena used to walk 12 kilometres to fetch 20 litres of water for her family each day. This time-intensive activity cut into the rest of her chores and, worst of all, the water she took from the river exposed her children to all types of diseases. Compare her stark reality to the World Health Organization’s recommendation that a person should have 2.5 litres of water a day to thrive. Helena’s two buckets of water had to be rationed among the entire family for their daily consumption plus washing, cleaning, and bathing needs. Helena is also one of the women in her community who champions messages taught by FH staff on good hygiene and sanitation, and she understands the importance of clean water to these practices. Last year you helped FH provide clean water to more than 245,000 people. We know you are committed to seeing mothers like Helena find access to safe, clean water. Will you help us impact even more families this year? With your help, we know we can raise the $107,000 needed this summer to help families like Helena’s secure access to clean, safe water. Your generous gift today will change the lives of even more families. Helena will never forget the day clean water arrived in her community. Will you stand with us to deliver an unforgettable day to another family? Join us today at www.fhcanada.org/water!